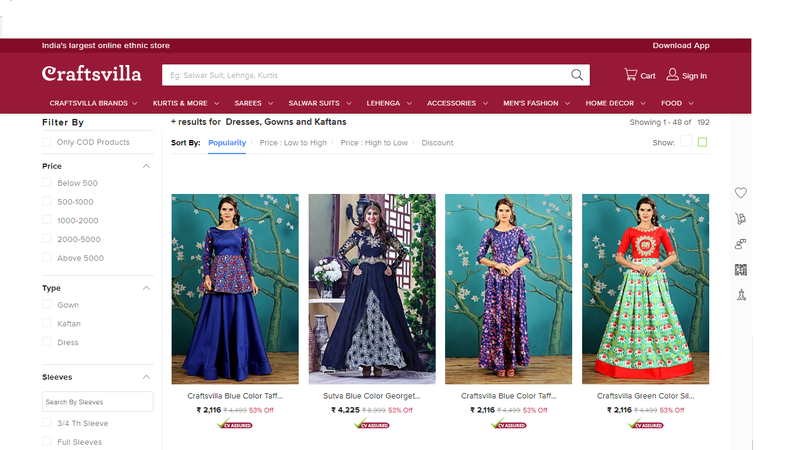 Today I am going to share details of an Indian Online Store from where one can shop Affordable Designer Dresses . 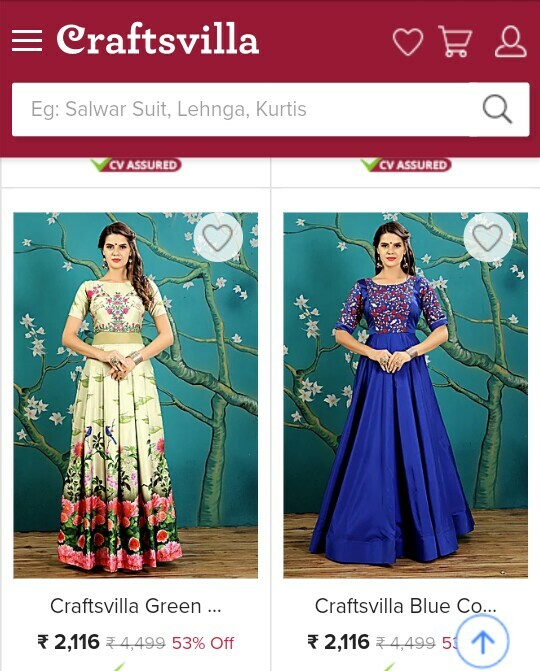 I am talking about Cratftsvilla.com , India’s largest online ethnic store . It connects local artisans and designers directly to global customers . 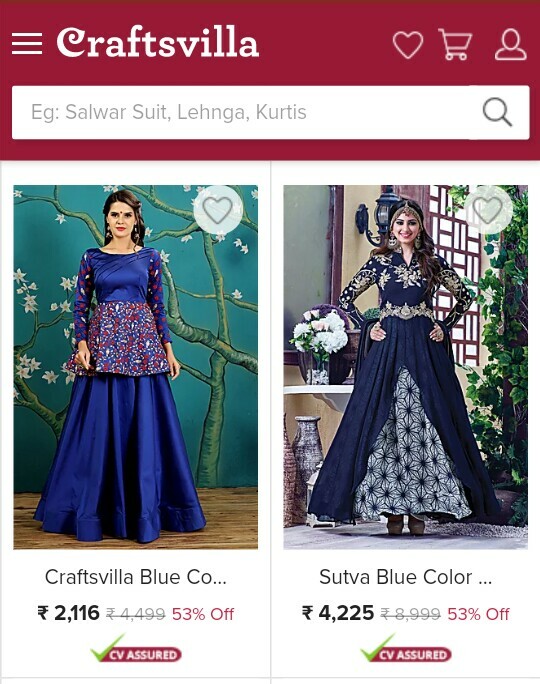 Craftsvilla is a place to discover Unique Indian Products including Hand made ,Vintage , Ethnic , Organic & Natural Products from India . The Best part is they have good quality products in affordable range . One can shop variety of products from this store . Skin Care & Hair Care Products . 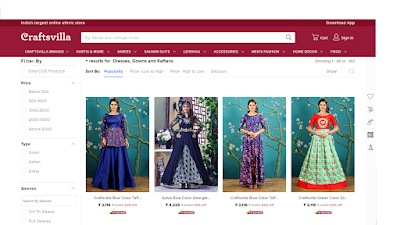 Again in Apparel section , one can find variety of Indian Ethnic Wears like Sarees, Lehnga’s , Gowns , Salwar Suits , Kurti’s , Fusion Wear and even Islamic Wear like Abaya’s & Hijab . One of the best section of this store is it’s Designer Gown Section . One can buy some stylish Gowns & Dresses at an affordable price . When I checked their collection I was amazed to see some Pretty Gown Design . 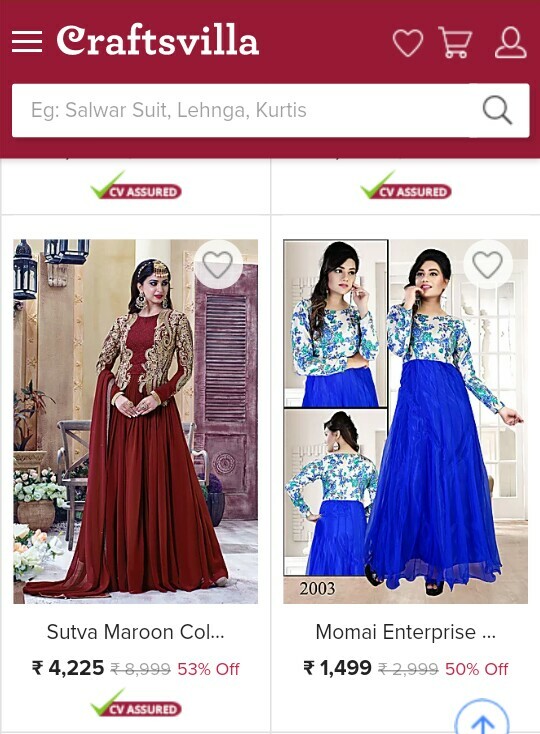 Right Now some sale is going on there , so after the sale price of these Designer Dresses are much less than the Original Price and they are all in affordable range . This Blue Taffeta Silk Embroidered Designer Gown With Boat Neck Looks too Classy & Gorgeous . It’s a ready made dress available in various sizes . This Sutva Blue Georgette Embroidered Gown has Chinese Collar Neck Design which looks too good and this Dress is perfect for any Indian Festival or function . The Royal Blue Peplum Top Gown is from House of Fashion . It’s available in various Sizes and comes in an affordable price range . 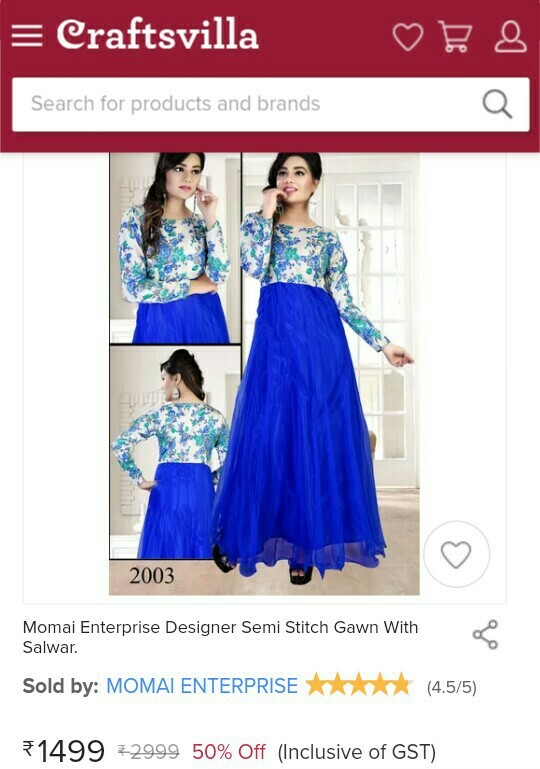 This Semi Stitched gown from Momai Enterprise costs only Rs 1499 after discount which is too good . The Bold Blue Color & Pretty Floral design makes it look adorable . 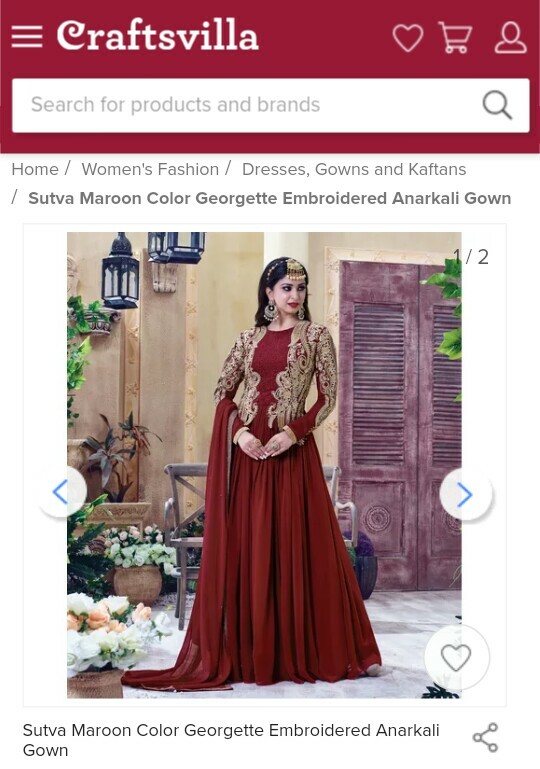 This Maroon Color Georgette Embroidered Anarkali Gown Looks Stunning and is a Perfect party wear & Function wear , Ideal for any Indian Festival or Function . They have many more pretty Gown Designs like this . All in Affordable Range . Choose what you like . They have dresses with Full Sleeves ,Short Sleeve , Cap Sleeve , 3/4th Sleeve etc. One can choose their favorite color from the list . Embroidery , Kantha, Gota Patti , Madubani , Mirror work Choose what you like . Pretty Neck Designs like U , V , Boat , Square Neck , Round Neck all are available . One can choose from Full Length , Calf Length , Knee Length etc. From 10 % to 50% and more discounts are available . So it’s very easy to search what one is looking for using these filters . 1. Products are of good quality & brand . 3. Wide range of products to choose from . 4. Lovely & Pretty Designs . 6. Various Payment options available including COD . 7. Easy return & refund policy . One can shop products from Local Artisans which is other wise difficult to get . So do check the site and have a look on their products and buy something for yourself or your loved ones . Do share your views if you have checked the store .